Toddlers and children ages 2+ will work with clay to learn, explore, and get messy at the LUX! In this 45-minute club, students can quickly immerse themselves in hands-on art making without committing to a full class. 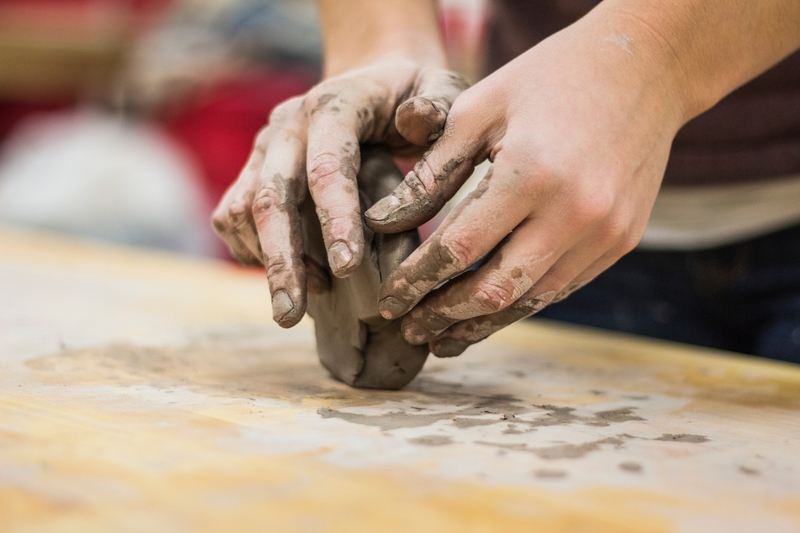 The first 30 minutes are spent working with clay and building a project collaboratively with a parent and the last 15 minutes will be spent glazing their creation. Mud Club participants will only do handbuilding. 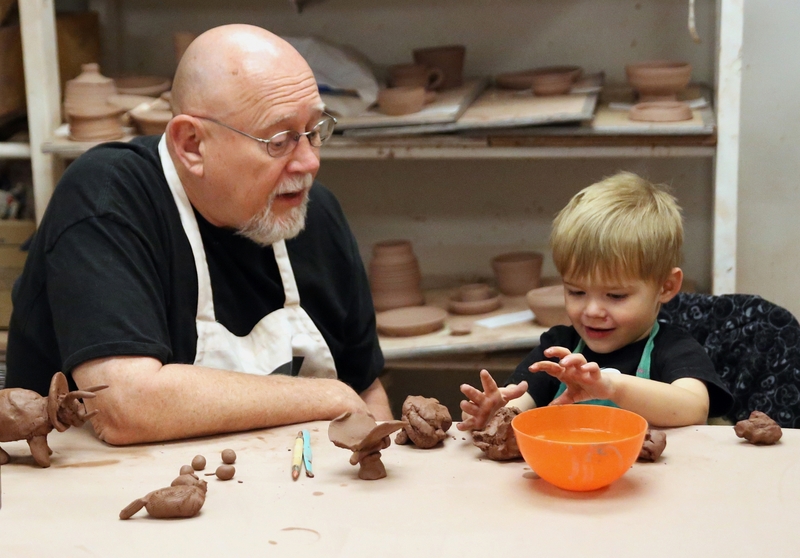 Pottery wheel family nights are available for those who want to try throwing and have a child who is at least 9+. Pottery wheel date nights are available as well. This class takes place in our Ceramics Center located in the building just west of the LUX parking lot. All project are ready about two weeks after the class. Projects left for more than 60 days after the class will be discarded.